Lam Chih Bing of Singapore wants to end his season on a high by challenging for top honours at next week’s Omega Mission Hills World Cup at Mission Hills Resort, Hainan Island, China. The bi-annual competition, which will be held from November 24-27, will give the 34-year-old Singaporean the opportunity to finish his season with a flourish as he approaches the tail end of the 2011 Asian Tour season. “The World Cup is a good opportunity for us to bring honour to Singapore. I believe we can do well as we’ve been playing in such team events for a long time and we understand each other,” said Lam. With two more events on the Asian Tour left after the Omega Mission Hills World Cup, Lam is also seeking to end a difficult year on a high with fellow countryman, Mardan Mamat. By his own admission, it has been a frustrating season for Lam as he has been struggling with his indifferent form. “I’ve been struggling with my form the whole season. It has been very inconsistent that has left me frustrated at times. I hope that it can all come together even though we are reaching the end of the season. 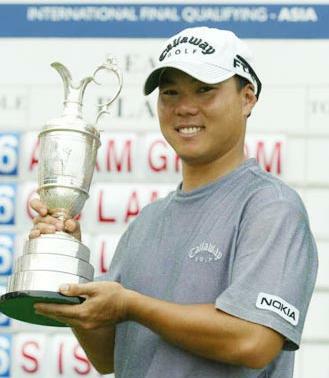 It’s better late than never,” said Lam, who has not finished inside the top-10 this season. Lam and Mardan will be making their fifth World Cup appearance after winning the Asian Qualifier in Malaysia in August. Their ability to play well together was evident when they finished atop the leaderboard at the Qualifier which earned them one of the three coveted places to the World Cup alongside New Zealand and Korea. The Lion City’s best hopes will now seek to better their country’s best finish which was recorded in 1984 when the partnership between Lim Swee Wah and Lim Kian Tiong led Singapore to a tied-10th place. Apart from Singapore, Asia will also be represented by China, Japan, Korea and Thailand at the Omega Mission Hills World Cup which was inaugurated in 1953. The Thai partnership will bring together three-time Asian Tour Order of Merit winner Thongchai Jaidee and Kiradech Aphibarnrat, who won his first Asian Tour title this season. The home’s charge will be spearheaded by 2007 Asian Tour Order of Merit winner, Liang Wen-chong and Zhang Xin-jun who emerged as the leading Asian and best Chinese finisher at the WGC-HSBC Champions earlier this month. Amongst the favourites to headline the Omega Mission Hills World Cup are Northern Ireland’s Rory McIlroy and Graeme McDowell, England’s Ian Poulter and Justin Rose and the South African pairing of Charl Schwartzel and Louis Oosthuizen. The 2011 Omega Mission Hills World Cup will feature 28 nations vying for the US$7.5 million prize fund.